Welcome to the tempting all-day breakfast and lunch specials that have made Angie’s Waterloo a community staple since 1962! Located in the heart of UpTown Waterloo, the newly renovated dining room at Angie’s is sure to make guests feel right at home. With a menu that features everything from omelettes and pancakes, to steakhouse burgers and Angie’s signature Fish and Chips, visitors won’t leave hungry! Menu items feature dishes with a Waterloo County twist, using tastes that reflect recipes that were favourites of the early German settlers to this area. 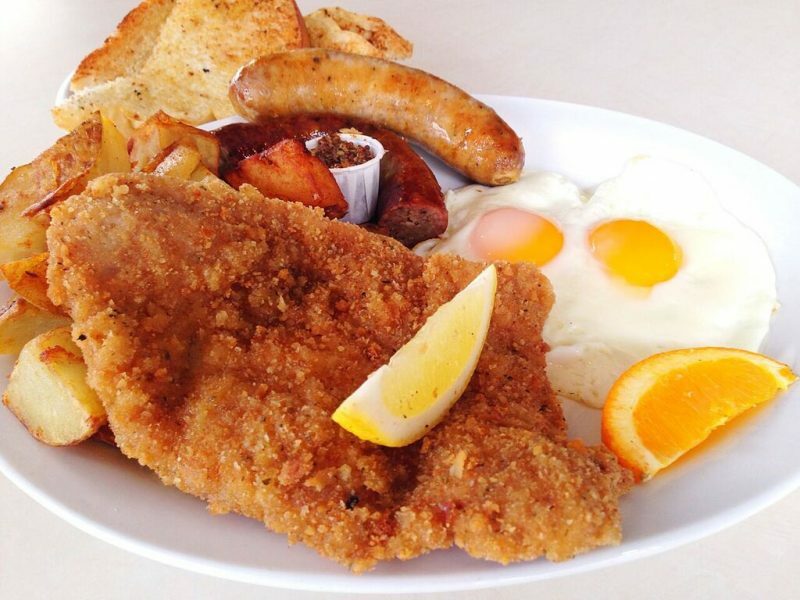 Many of those dishes continue to be favourites: in fact, Angie’s Famous German Platter has been featured on The Food Network’s Great Canadian Cook Book with Chef Lynn Crawford. Angie’s also has an on-site bakery where sweet treats like cinnamon buns, an array of pies, and classics like butter tarts and Angie’s homemade bread come fresh from the oven daily. The restaurant was started by Angie and Bill Graham out of their family home in 1962. That sense of family remains, with everyone from students, business people and families continuing to come home to Angie’s for a great meal in a relaxed, friendly atmosphere. At Angie’s they know how busy life can be. To make it easier, Angie’s prepares all of their delicious meals for takeout. Use Skip the Dishes to have a meal delivered right to your door! Angie’s is also happy to make party platters to order, for any occasion. A fully-licensed facility, celebrate a birthday, anniversary or other special occasion at Angie’s. They are happy to help with the planning to any occasion a memorable one. 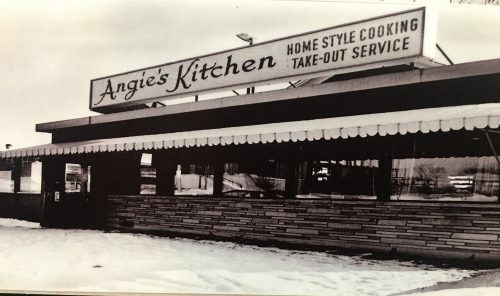 Angie’s is open from 7 a.m. to 2 p.m. Monday to Friday, Saturdays from 7:30 a.m. to 3 p.m., and Sundays from 8 a.m. to 3 p.m..
Find out what thousands have discovered since 1962: Angie’s is the place for home-style cooking and good value.